What Does Psalm 109:26 Mean? David is the psalmist, who is calling on the Lord his God to "save me according to Your lovingkindness". He lists the unkind acts and evil exploits his enemies have carried out against him and laments over their deceptive practice. 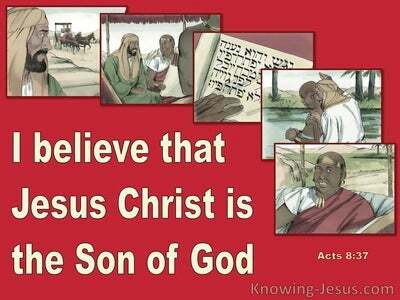 "Appoint a wicked man over him", he pleads, "and let an accuser stand at his right hand. 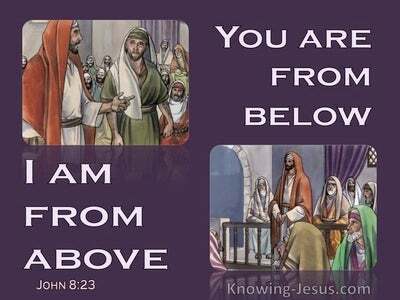 When he is judged, let him come forth - guilty. 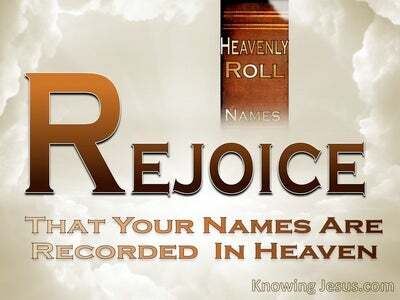 Let his prayer become sin", is the pleading cry of the author of this psalm. "Let his days be few in number and let another take his office. Let his children be fatherless and his wife a widow. Let his children wander about and beg and let them seek sustenance far from their ruined homes. Let the creditor seize all that he has, and let strangers plunder the product of his labour. Let there be none to extend lovingkindness to him, nor let any to be gracious to his fatherless children. Let his posterity be cut off in a following generation and let their name be blotted out" - are some of the profound pleadings for justice, from the heart of this maltreated man. The ongoing barrage of attacks from this wicked enemy were so severe and so numerous that David finally turns to his sovereign Lord for help and deliverance. He acknowledged his own weakness and inability to turn back this tide of abuse and animosity. Not only was he in physical danger but the onslaught of scornful mockery was more than he could bear, and so having poured out his heart to the Lord and pleaded for vengeance - David confessed his own inability to confront these evil men and cried out to God - "Help me, O LORD my God; Save me according to Your lovingkindness." Earlier in the psalm it appears that all David wanted was to be avenged for the wrong these wicked men had done to him - but as he listed their evil actions, it caused him to remember that he served a God Who is full of loving kindness, and has promised to protect the needy and save them from those that would judge; accuse and abuse them. And so he simply cried out "help me Lord. 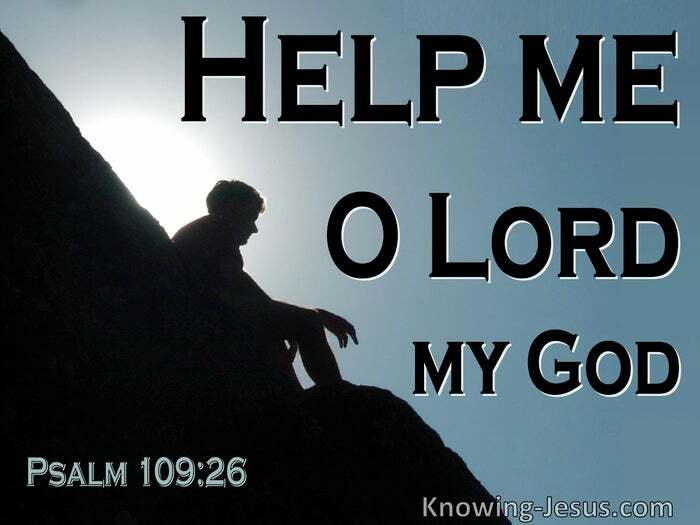 Help me, O LORD my God. 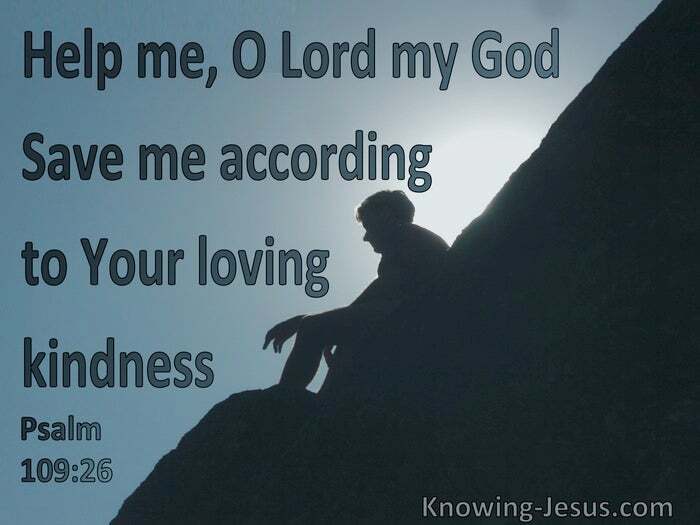 Save me according to Your lovingkindness". There are some that consider Christians should use 'imprecatory' prayers against their enemies and invoke the Lord for justice and vindication while others consider that calling down judgement on their enemies is not appropriate, because we have been called to love our enemies and pray for those that despitefully use us. Any form of 'imprecatory' prayers should never be taken lightly, but perhaps the most appropriate was to address this issue in our own lives is to maintain a biblical balance - between praying for the forgiveness and salvation of our enemies and asking God for justice to be carried out. Just as we are reminded that "there is a time to love, and a time to hate; a time for war, and a time for peace", we also have to be aware that there may be a time to plead for God to avenge us of a terrible wrong - but that we should always approach 'imprecatory' prayer with godly wisdom; under His guidance and for His greater glory. Heavenly Father, there are times when the difficulties and dangers in my life seem to be very similar to the things that David went through when he called on You to judge his enemies and cover his accusers with dishonour and shame. At times I also feel like praying for You to avenge me of all the horrid things my enemies have done against me. 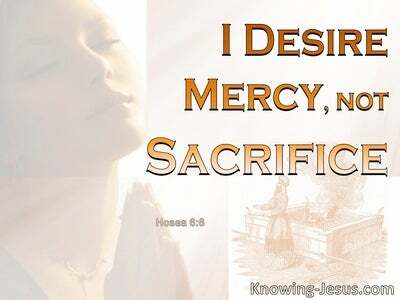 I also know You have promised that Your grace is sufficient for me in ALL the evils I may face, and pray that You would give me wisdom to know how to pray when I am beset by those that would do me harm. Help me O Lord, my God to deal with those that would assault my soul in a Christlike way, and give me wisdom to recognise a time to pray for forgiveness and a time to pray for justice - this I ask in Jesus' name, AMEN.